We are offering all five issues and the audio that goes with them as specially boxed sets to save you money. Student Reproducible Parts, which are now available separately for this entire volume, contain every recorded tune with the singers' parts extracted for fast, less expensive photocopying. Downloadable versions of the full back volume are now available. And with our combo option, you get the best of both worlds: a physical and downloadable copy of the magazine components. Allow at least one business day after your purchase before trying to access your files. 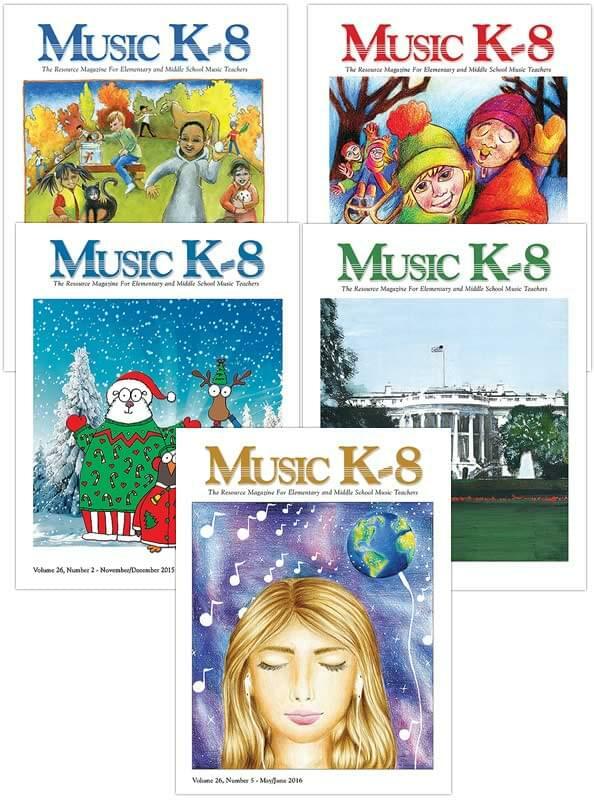 You will access your downloadable Music K-8 components from your online account, so please log in before checkout. An account will be created for you automatically, if you do not have one. To hear sound clips from and read details about any song in any issue, visit the Past Issues area. A small sampling of tunes is included below.